What are your golf trip dreams made of? Sunny skies and rolling greens are where most golf vacation dreams begin and the perfect destination to experience the best of the game is the World Golf Village Resort. 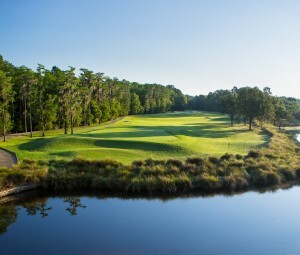 Boasting two premier golf courses the King & Bear and Slammer & Squire which sit in the shadow of the Hall of Fame, St. Augustine Florida is the perfect location for any avid golfer to visit. Rounding out your experience with a stroll through corridors of the World Golf Hall of Fame and a once in a lifetime instruction experience at the PGA TOUR Golf Academy, you will not find another golf experience like this one anywhere else. *Advertised rate is based on arrivals from February 1 – May 31, 2019 and based on double occupancy. Package valid through December 31, 2019. Advertised rate is per person, per night and only for the Renaissance Resort. Changing accommodations provider may change package rate. 2-Day Lite Golf School is at the PGA TOUR Golf Academy with a certified golf instructor. Tickets to attractions have no monetary value and cannot be redeemed for cash. All packages are subject to availability. Package rates can change at any time. Resort fees and taxes included. As a World Golf Village customer you can take advantage of special pricing and the following benefits when you add an Avis rental car to your reservation. Reduced charge for re-fueling – no need to worry about filling up before your return. Avis will only charge the current day “pre-paid gas rate” for PGA TOUR Experience guests.